When it comes to creating a website design, styling web page links (also referred to as hyperlinks) is probably the last thing on our minds. However, adding special effects to page links can help make your website design more appealing to users’ eyes. But the unfortunate reality is that, there are several critical design aspects that web designers often need to deal with (like call-to-action buttons, web forms, etc. ); which eventually makes them forget about styling their website links. In fact, many newbie designers don’t even realize the benefits they can avail, by manipulating the web page links using style sheets. With this post, I would like to talk about what exactly a link does, some basic things to consider when styling links using CSS and a few examples. As we all know, hyperlinks help connect one web page to another, helping us navigate throughout the website. For instance, a hyperlink within an article help redirect users to other related articles published on your website, or you can even add links that connects your site visitors’ to some external source. The possibilities are endless! This section will throw light upon some basic principles that you should be aware of when designing web page links. :link – this is the normal or default state of a link. :visited – this state specifies whether the link has been visited before. :hover – this state is used to define when users hovers their mouse cursor over a link. :active – this state identifies the current link that user clicks on. Note: Remember that you need to use these states with the tag in your CSS selector. color – It can be used to change the color of the link. background-color – It can be used to change the background color of the link. text-decoration – Setting this CSS property to none help you get rid of the default underline. font-weight – Make your link style bold. Examples to Illustrate: How to Style Links in CSS? Let’s take an example to illustrate how you can modify the state of your link using a few CSS properties. Imagine you have a web page that contains links with a underline. Now, you want the underline to disappear, when you moves the mouse over the link. You can’t do so merely using HTML alone. However, this can be done easily using CSS. Color is one of the most vital elements of web designs that can easily grab visitors’ attention towards the design. Here is an example that will show how you can style your page links, by changing its color when the user moves the mouse over it. If your link contains an associated icon, you can change to a different one as you hover the icon or view it other states. Creating a good design requires us to focus on several aspects; we often pay attention to the most important ones, and forget to pay heed to styling our web page links. But even well-designed links can make a website design look more impactful. 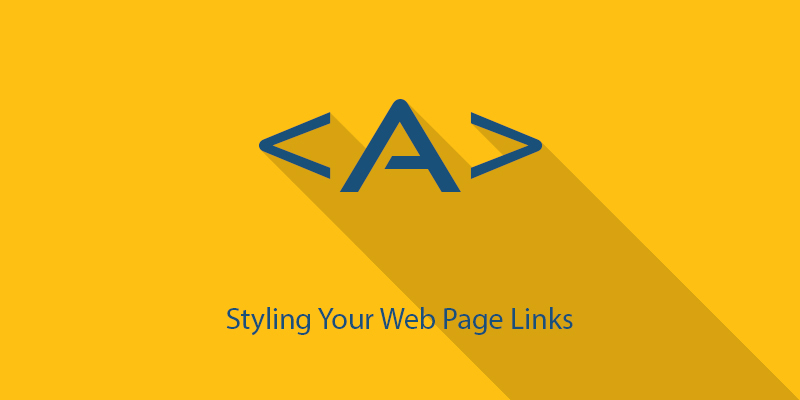 You can make your website links a part of your design, simply by adding some style to it using CSS. Hopefully, this post will help you learn about simple yet important factors that will definitely help you add great effects to your page links. Author Bio – Sarah Parker is an experienced PSD to WordPress service provider, and a web designer. She loves to share her thoughts on web design and web development trends.